LUKOIL, the largest oil and gas company in Russia, recently announced that it has developed a new technique to respond to oil spills in the Arctic waters. The new multi-patented technology is based on the use of bio-sorbents with cold-resistant microbial strains at contaminated salt and fresh waters. Pilot testing proved self-destructing bio-sorbents as the most efficient tool of emergency oil spill response in north latitudes, where low temperatures and ice conditions make conventional oil containment and recovery methods ineffective. Biosorption is a physiochemical process that occurs naturally in certain biomass which allows it to passively concentrate and bind contaminants onto its cellular structure. Using biomass in environmental cleanup has been in practice for a while. 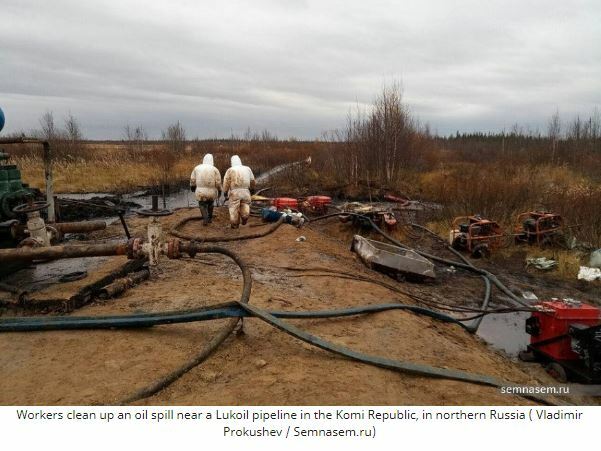 As soon as the new oil spill response technique is approved through the state environmental expert review, it will be integrated across the company’s facilities and will become a component of LUKOIL’s biodiversity conservation plan.